Hello fans! 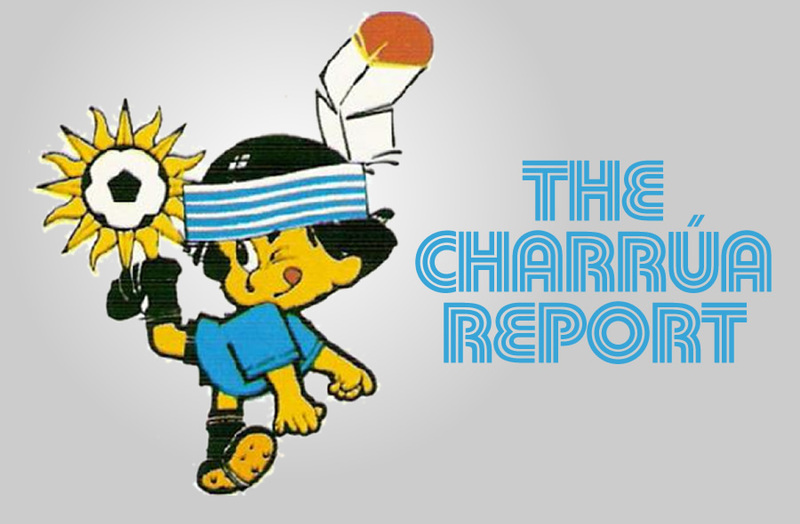 El Bolso is back with another Charrúa Report. Let’s get right to it! It looks like Nacional finally regained its mojo, at least on the offensive side of the ball. The Tricolores won their third game in a row, beating Rentistas 4-2. Once again the attackers were highly effective, scoring on their first three chances of the game, but the defense is still looking very shaky. This one started poorly: I tuned in around the 3rd minute of play and Nacional was already down a goal, courtesy of a Nicolás Rodríguez free kick that somehow got past keeper Gustavo Munua. Nacional didn’t despair, though, and tied the game just two minutes later on a Carlos De Pena header off a Gonzalo Porras cross. That was De Pena’s team-leading 5th goal. Then, in the 16th minute, another Porras cross found Leandro Barcia in the box, and the kid’s header put the Tricolores on top. Half an hour in, Diego Polenta found Barcia streaking in all alone on a counterattack, and the forward added another goal (his 5th, tying De Pena) to make the halftime score 3-1. Nacional had several chances to add to the score in the second half, but it wasn’t until the 83rd minute that they were able to get their fourth, as the Rentistas keeper failed to corral a cross and Sebastián Fernández put the rebound in. “Papelito” wasn’t the only veteran player getting some late minutes: Jorge Fucile made his return to the lineup and looked to be pretty healthy. 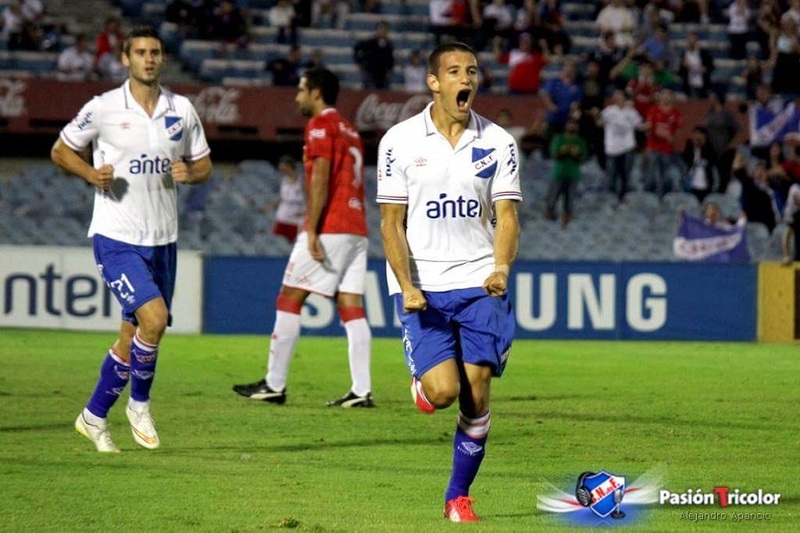 Near the end, former Nacional youth team sensation Federico Laens found a ball in the box and finished the scoring. So has Nacional finally rediscovered their Apertura form? Well, yes and no. The truth is that there was never that much difference in level of play between those two versions of the Tricolor squad. In the Apertura every ball seemed to bounce Nacional’s way, and they benefited from an extremely opportunistic attack; that part of the equation seems to be back. It also helps that the team’s schedule has eased considerably since the first few weeks of the Clausura. The big concern right now is the defense, which has not looked nearly as confident as it did 6 months ago. This is a team that had given up more than twice as many goals in the first 9 weeks as it did in all of the Apertura, and the two goals given up this week didn’t help. On the bright side, the team is a virtual lock to finish first in the annual table (they’re 13 points up on second place Peñarol with only 15 to play) which means they’ll have two chances at the title. As far as the Clausura, they’re up to 4th place now, still 6 points behind leader and defending national champion Danubio. So the next few weeks present a great opportunity to work out the defensive kinks and continue building confidence up front. Speaking of Danubio, the last week of group stage games in the Libertadores Cup took place this week, with the Uruguayans finishing out an otherwise disappointing campaign on a high note: a shocking 1-0 road win against defending title holders San Lorenzo de Almagro. These were the only points Danubio managed in the tournament, and helped knock the Pope’s favorite team out of the competition. San Lorenzo needed to beat Danubio and hope that Sao Paulo lost to Corinthians to sneak into second place, and the loss left them on the outside looking in (a win wouldn’t have helped them anyway, given Sao Paulo’s 2-0 win). The game was scoreless until the 89th minute, when former Nacional midfielder Agustín Viana headed in a superbly executed corner kick. It’s not as if one win can undo the previous two months, but it’s better than losing yet another game, and it will surely help Danubio build confidence as they try to become the first ever “small” club (i.e., not Nacional or Peñarol) to win back to back Uruguayan League titles. Boca Juniors (Argentina) – River Plate (Argentina): That’s a spicy meat-a ball! Should they get past Racing and into the quarterfinals, Wanderers would face the winner of the Corinthians-Guaraní bracket. Good luck Bohemios! Mauricio Pereyra is firing on all cylinders, folks. 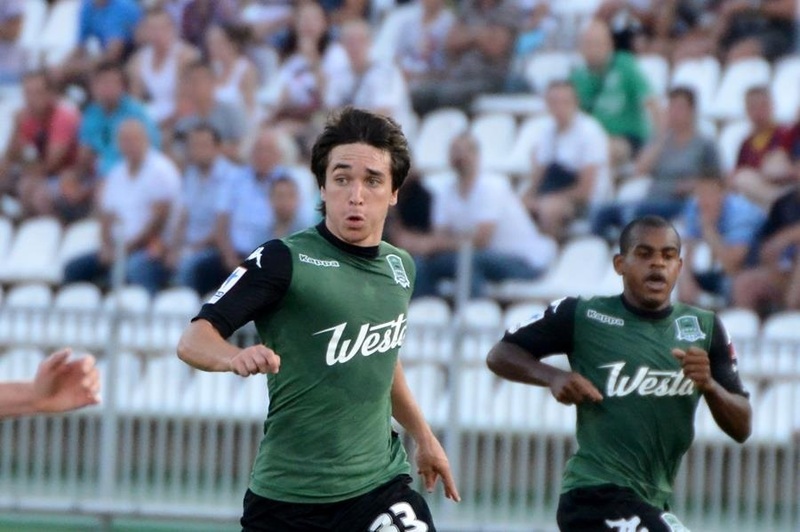 The former Nacional midfielder scored yet again this weekend, the only goal in FK Krasnodar’s 1-0 win over Lokomotiv Moscow. The result allows Pereyra and his teammates to solidify their hold on second place in the Russian Premier League (and a Champions League preliminary playoff spot). Krasnodar won’t catch leader Zenit, as they are 8 points behind with just 4 games to play, but they now have a 4 point advantage over third place CSKA Moscow. Edinson Cavani had a pretty good weekend, scoring two goals in PSG’s 6-1 dismantling of Lille. The Parisians were up by 2 goals just 4 minutes into the game, with the second score coming courtesy of Cavani’s beautiful finishing. The Uruguayan later added a penalty kick. PSG shares the Ligue 1 lead with Olympique Lyon, although they have a game in hand that gives them the advantage heading into the tournament’s final month. Luis Suárez didn’t find the back of the net this weekend, but his passing enabled both Barcelona goals as the culés took the Catalonia derby, beating Espanyol in their own stadium by the score of 2-0. Barcelona maintains a 2 point lead over Real Madrid with 5 games to go. Meanwhile Atlético Madrid, seemingly the home of every Uruguayan National Team defender ever, has solidified their grip on third place and the last ticket into the Champions League group stage. You know who did manage to score this weekend though? Yes, it’s Cerezo Osaka’s own Diego Forlán! Sure, he may not have had enough left in the tank to save the team from relegation to the Japanese second division last season (or keep them at the top of the table this year), but Diego can still finish, and he’s shown it in the last two weekends. Of course, you’ll have to take my word for it, because no one cares enough about lower division Japanese soccer to post highlights on YouTube. And that’s all for today, friends. Here’s this week’s Pasión Tricolor. See you next week!